Born in the San Francisco Bay Area, Daniel Norton was raised in what most people would consider the epicenter of innovative cuisine. San Francisco is home to world-renowned markets overflowing with organic produce, from the Napa Valley Wine Country to the fresh Pacific seafood. His childhood was enriched by local and cultural fare, thus peaking his curiosity for rich culinary delights that eventually lead him to seek an education at The California Culinary Academy in San Francisco. It was while attending the California Culinary Academy that Daniel discovered that relationships would be the cornerstone and foundation of his career. The Academy gave Daniel the opportunity to build lasting relationships with his mentors, and he would soon harvest the benefits. One such relationship led Daniel from the Academy to an externship in the Florida Keys, an experience he credits for giving him the chance to eat, breath, and live the food he loves. Daniel spent his time there gleaning all the knowledge he could from Anthony Keen, the Executive Chef at the Palm Beach Resort where he worked. When his externship came to an end, Daniel reached out to another relationship he had fostered. It was with legendary Colorado Springs chef James Davis. Out of his comfort zone but hungry for more knowledge, Daniel accepted the only position available under Chef Davis, Executive Pastry Chef. The position was a bit of a stretch, and Daniel was grateful that Chef Davis took a chance on him. It was a successful endeavor for all, and a highlight of Daniel's journey. 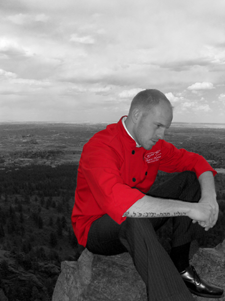 In 2006, Daniel took a position as Sous Chef at the Inn at Palmer Divide in nearby Palmer Lake, Colorado. At The Inn at Palmer Divide, Daniel was lucky to experience the building of a restaurant from the ground up, an experience that allowed Daniel to create relationships with his customers. One such relationship led Daniel to The Club at Flying Horse a year later. 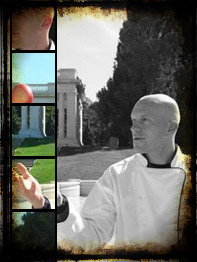 In 2007, Daniel accepted the position of Sous Chef at The Flying Horse Club in Black Forest, Colorado. It was here where Daniel began to build on the next chapter of his career. He helped build The Flying Horse from an empty lot into an amazing private club, anchored by award winning golf courses and Italian villa style homes. The many relationships Daniel harvested with each member of The Club allowed him to leave The Flying Horse in 2008 to focus solely on the Private Chef business he had begun in 2006. Crave was created in response to many of those customers requests, as Daniel sought to raise the status quo of the Private Chef. Through this endeavor Daniel met a woman stricken with the rare disease Interstitial Cystitis. Daniel expressed a desire to help create a meal that she could enjoy that would fit her unique needs. Excited by the challenge of creating a menu with very limited ingredients, Daniel met with her and listened as she explained her current diet restrictions, and he was overwhelmed with compassion. Daniel worked with her over a period of time, helping her to create several meals that she can enjoy flare-free. Her excitement grew as she began to try new things. Today she enjoys sumptuous meals, created with a variety of ingredients that have opened her world up to the culinary delights she so desired. Daniel continues to work with her, and she is one of his biggest fans. From this relationship and experience Daniel created My Food Style, a web site dedicated to providing the millions who suffer from Interstitial Cystitis with recipes, blogs, and encouragement. In 2012 Daniel moved home to San Francisco to become the Corporate Chef at Memsql, a technical database start up. When asked why he joined memsql Daniel says, "Working at Memsql is another way for me to expand my culinary experiences, while the heart of my passion is still intact. The people, then the food!"